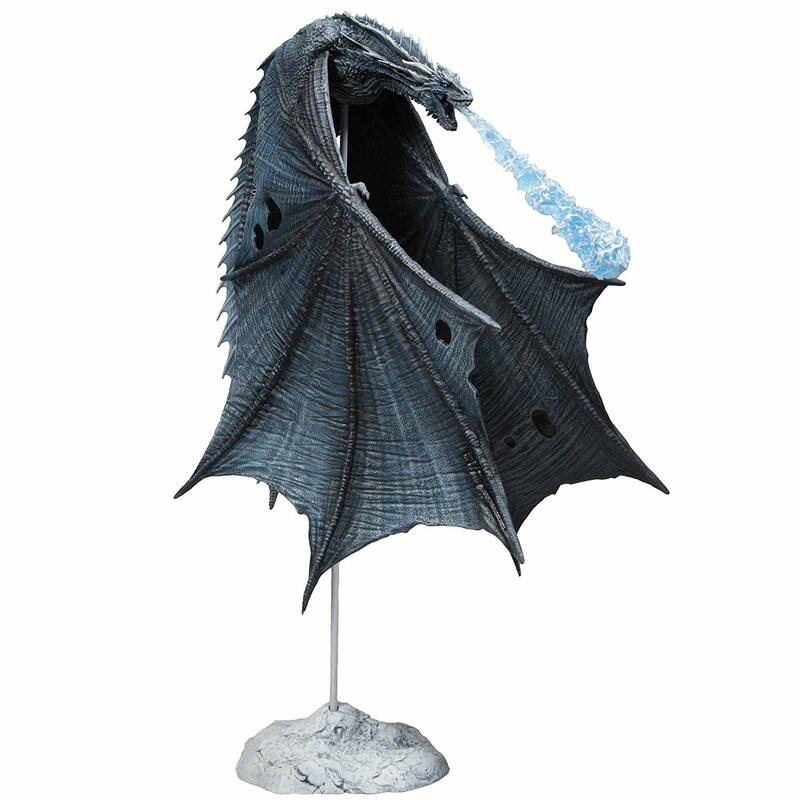 McFarlane Toys Looks To Dominate The Game of Thrones License! 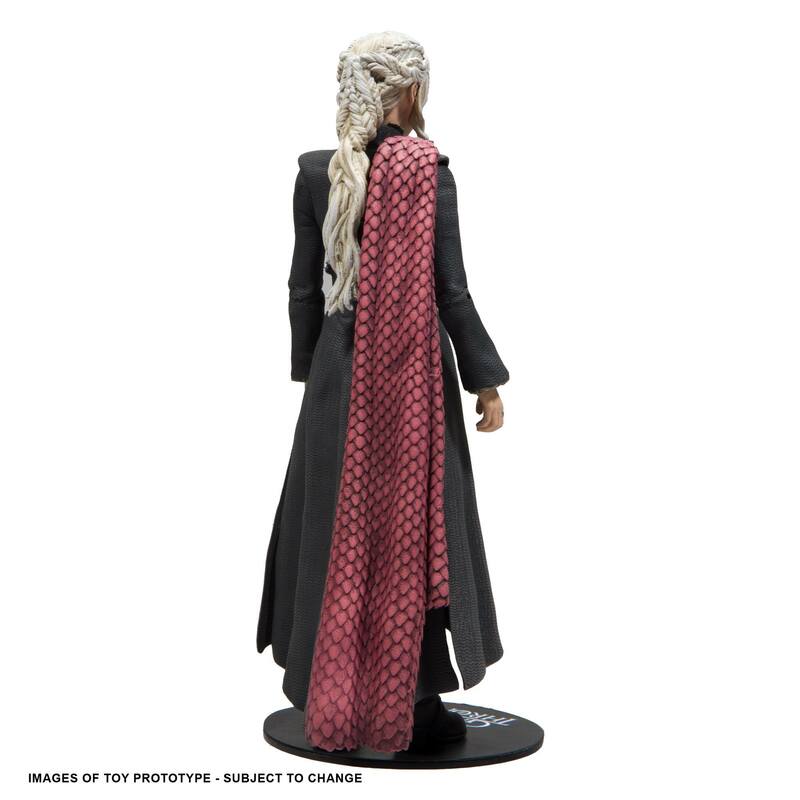 McFarlane Toys has shown two new images of upcoming products from the Game of Thrones license. Firstly McFarlane Toys have officially revealed that they’ll be bringing back the Monsters line. The original line featured new takes on classic monsters, fairy tale characters, assorted creatures etc. 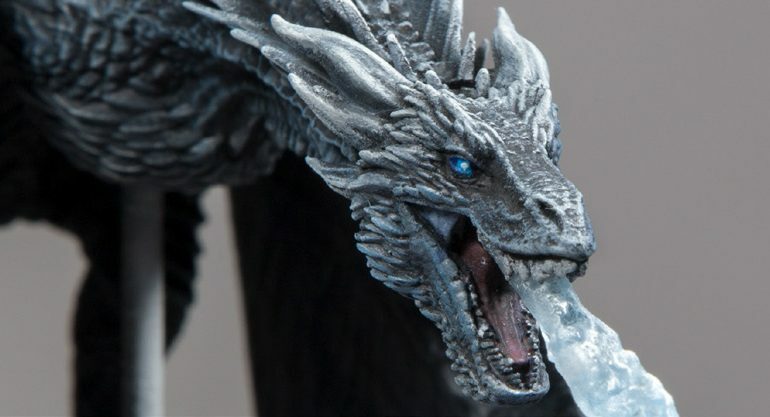 The first brand new figure in the line will be Viserion Ice Dragon from Game of Thrones. I have to say it looks incredibly impressive. 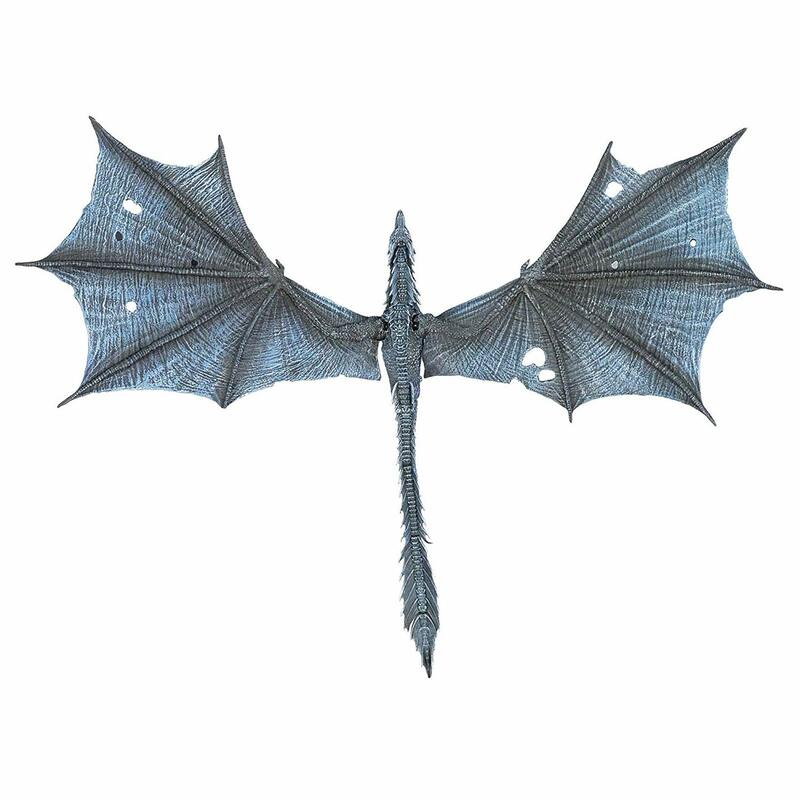 Viserion will be 9″ tall have a 16.5″ wingspan and will feature 10 points of articulation. The articulation will feature in the legs, wings, tail, and neck. 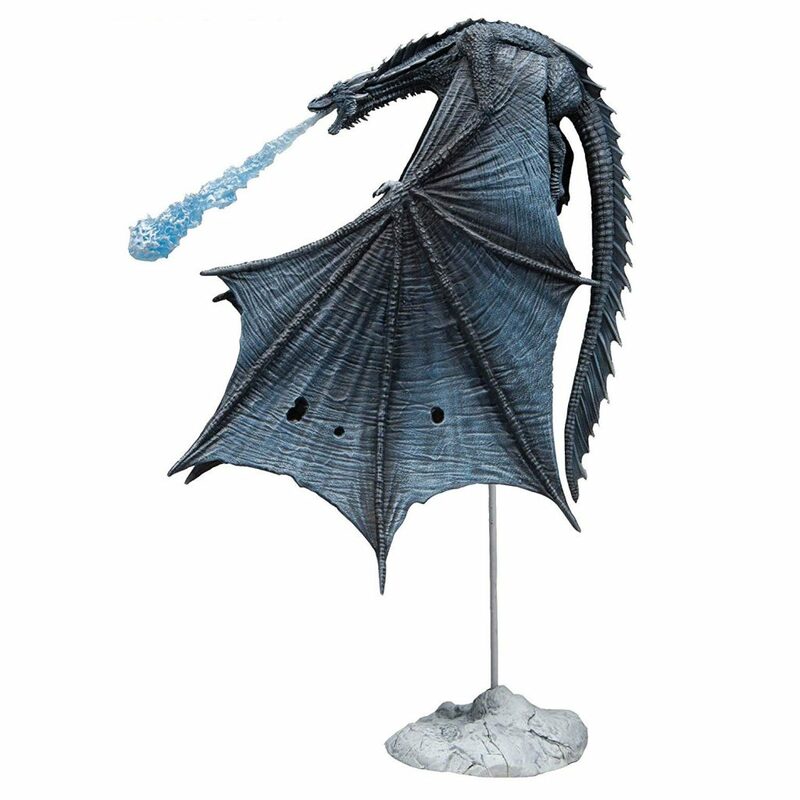 Viserion will feature a stand and removable blue flame effect. I have to say this is an outstanding piece and it only costs $24. I cannot wait to see what other creatures and monsters from the Game of Thrones that will feature in this line. Of course, other licenses will be included in the Monsters line and I hope we hear more news from it in the coming months. Secondly, I should note that McFarlane Toys have also revealed two photos of the Daenerys Targaryen figure and she looks fantastic. 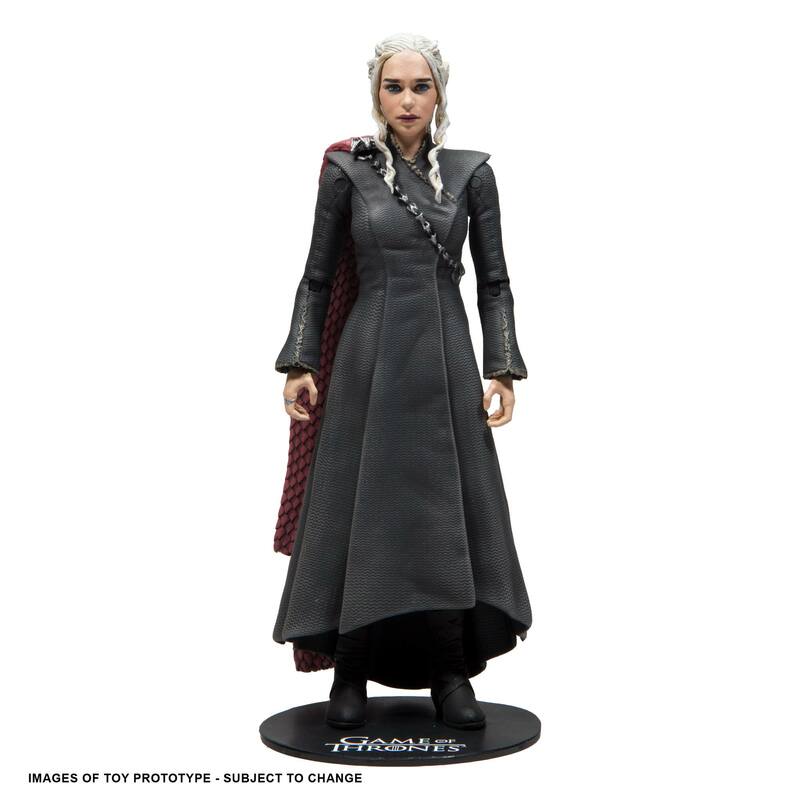 McFarlane is using the face printing tech which has worked wonders for this figure and it looks exactly like Emilia Clarke. Her costume is based on her appearance from the 7th season of the show. She’ll also come with the four map markers seen in the 7th season as well. She’ll be joining Jon Snow, Arya Stark and The Night King in the first series of action figures. The first series of action figures are expected to be released in April of next year and Viserion will be released in April/May of next year. In all honesty, it looks like we’re going to get some fantastic Game of Thrones collectibles by McFarlane Toys and I hope that the line of figures and Monsters continue to grow.